Immerse yourself in an interactive virtual-reality experience with PlayStation, and experience an extraordinary journey firsthand. 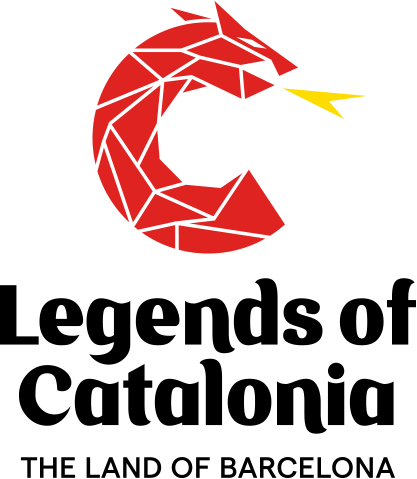 Be the star of the stories and legends of Catalonia, where your strength and your instincts are equally important to overcome all challenges and to face the ancient dragon. But you won't be alone. The spirit of Saint George and our advisors will be at your side to help you on your way. Get ready to discover amazing places. Catalonia is waiting for you. According to legend, an imposing dragon, able to travel by land, sea and air, ravaged the countryside around Montblanc. The municipality, to this day, has a certain medieval air, with its intertwining streets, buildings and surrounding walls. Day after day, the beast feasted upon the villagers’ cattle until all the animals had been eaten. Faced with the dragon's incessant siege and a lack of food that could satiate its hunger, the king and the inhabitants were forced to make a drastic and painful decision. They decided to give him one person each day, chosen by draw, to avoid further damage. The innocent hand in charge of making the draw was the king's daughter. In the center of Montblanc square, the first name the princess drew was her own. When everything was ready for the dragon to devour the princess, on the back of a white horse appeared a noble knight named George, who was determined to stop him. He fought a duel with the dragon at the gates of this beautiful walled city and defeated him. From the blood of the monster appeared a rose bush, from which the knight plucked a rose and gave it to the princess. Even today Catalans continue to remember the knight George, or Jordi in their native tongue, who has been the patron saint of Catalonia since 1456. Every April 23, Saint George's Day is celebrated in Catalonia. It is a celebration where tradition says that women should receive a red rose from their partner, their father or friends, and that men should be given a book. This day the streets and squares of all Catalonia are filled with the stalls of booksellers and florists selling roses. The origin of this festival combines elements from different eras. On the one hand, it goes all the way back to the year 303, when George the knight was beheaded on April 23 for refusing to persecute the Christians by order of the Emperor Diocletian. Later, in the fifteenth century, a fair of roses was held in Barcelona on the occasion of Saint George, which was celebrated at the Palau de la Generalitat. Those who came were mostly couples, the engaged and the recently married. And, finally, since the early 20th century, Saint George's Day is also celebrated on World Book Day. This was made possible thanks to an initiative of the writer Clavel i Andrés, who in 1927 proposed to hold a festival to promote the book in Catalan-speaking regions. From this combination emerged the most celebrated day in Catalonia. A trip through time will take you to the Tarraco of the 1st century AD, where you'll have to defeat your rivals in Haspartum to get the key. But beware, a dragon awaits—and it doesn't seem very friendly. Are you ready for the adventure? Only if you have the courage to follow in the footsteps of your advisor, Carles Puyol, will you be able to continue with the next route. 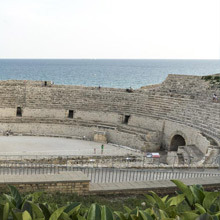 Here you can find the Roman amphitheater of Tarraco. It's part of the city’s archaeological remains, declared a World Heritage Site by Unesco. Built at the end of the 2nd century AD with a capacity for 14,000 spectators, it's one of the best-preserved Roman amphitheaters in the world. Construction on the Seu Vella de Lleida began in 1193. The renovation and successive enlargements of this cathedral spread out across several centuries, giving rise to a building that combines Romanesque and Gothic elements. 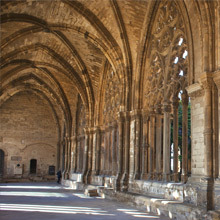 Its large cloister is considered one of the largest in European Gothic architecture. Puyol, legendary soccer player and captain of Futbol Club Barcelona. Famous for his leadership, honesty and strength, Puyol will guide you through Lleida and Tarragona and help you overcome any obstacle along your way. A route not suitable for those who are afraid of heights. A challenge that frightens even the bravest. Follow Edurne Pasaban through the highest parts of the mountain of Montserrat and discover the underwater magic hidden in Cadaqués. 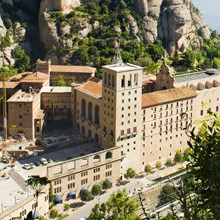 Montserrat is the most emblematic mountain in Catalonia. It's recognizable because of its whimsical shapes, which are the result of a geological and geomorphological process lasting millions of years. Popular imagination has associated these shapes with human and animal figures, named them and given birth to legends about them. 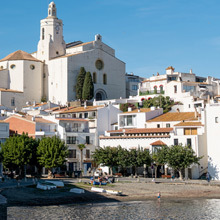 Cadaqués is one of the most charming fishing villages in Catalonia. The sea breeze creeps through its narrow streets; its white houses with blue doors and windows hug a small beach where Salvador Dalí spent his summers with his family. 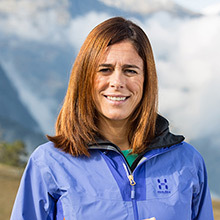 Edurne Pasaban, a mountaineer known for being the first woman to climb the world's 14 eight-thousanders, will be in charge of helping you on this high-altitude route. 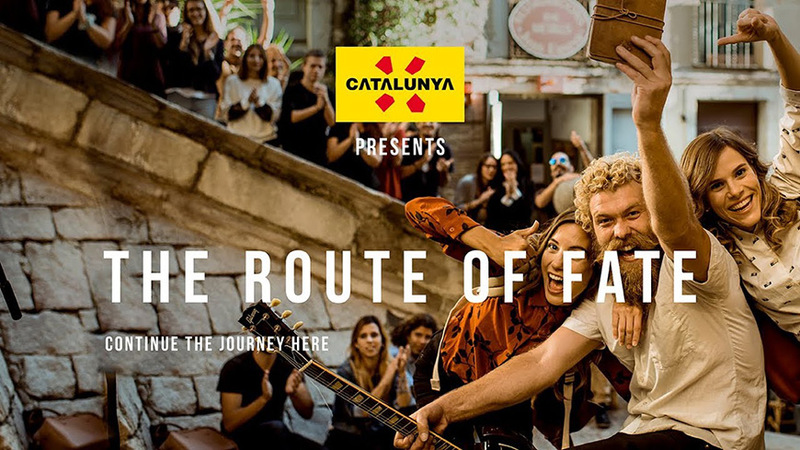 If you want to complete this route through Barcelona, being the fastest or the strongest won’t be enough: you also have to be the most creative. Use your senses and follow the advice of the Roca brothers. You'll only get the third badge if you follow your instincts. 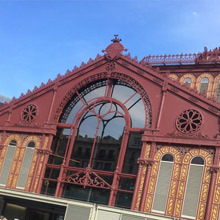 Sant Antoni Market is one of the most important markets in Barcelona. It was built according to Idelfons Cerdà's original plan. It was recently renovated, and you can buy quality fresh products there. Catalan culture can't be understood without Modernisme. 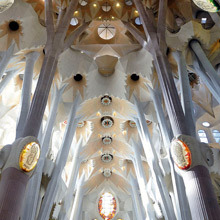 One of the great exponents of this artistic movement is the Sagrada Família, the work of the great architect Antoni Gaudí. Its serpentine geometric shapes inspired by nature, the play of light inside and the sculptures on its walls have made it a global icon. 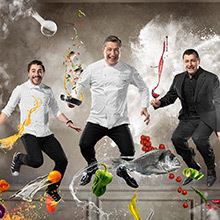 The Roca brothers, world-renowned Catalan chefs with 3 Michelin stars, are the owners of El Celler de Can Roca, regarded for years as the number 1 restaurant in the world. Something is happening in New York. Two murals created by artist Sergio Mora on Canal St. & Lafayette St. (Soho) and on Kent Ave. & Grand St. (Williamsburg) show the unknown Catalonia to the world. Plus, discover our augmented reality app, where you can transport yourself from anywhere in the world to a magical, legendary land. The Route of Fate is the origin and inspiration of the great RV experience. The idea comes from an ad campaign in which two girls discover their favorite Catalonia hiking trails through the personal diary of a tourist. They use the tourist’s map to visit the same emblematic and spectacular places. The ad campaign has received international acclaim. all this is real, and it's called Catalonia. Come and discover it for real.